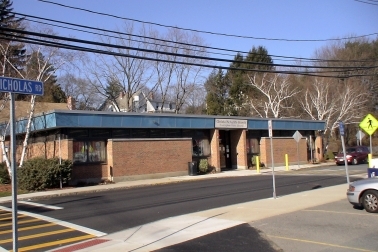 The Framingham Public Library was the eighth public library founded in the Commonwealth of Massachusetts and has maintained a strong tradition of community service for more than a century and a half. Founded in 1855 by a handful of public spirited citizens with a collection of 500 books, the Social Library served the village of Framingham Centre and the surrounding area until 1872, when the Edgell Library was built.��Named in honor of Colonel Moses Edgell, a civil war veteran and library benefactor, this library remained in service until 1963.��The historic building now houses some of the collection of the Framingham Historical Society. 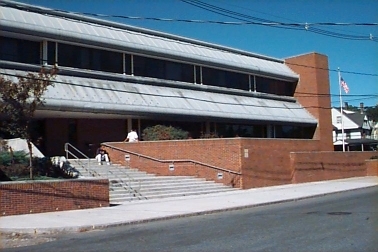 The McAuliffe Branch was constructed in 1963 and rededicated in 1988 to the memory of teacher/astronaut Christa McAuliffe, a member of the Challenger space shuttle crew. Christa lived in Framingham during her childhood, attending local public schools and graduating from Marian High School and Framingham State College. Both facilities offer a large selection of bestsellers, paperbacks, magazines, LARGE PRINT BOOKS, reference books, compact discs, books on tape, videos, DVD's, and music cassettes. Our Children's Department offers story hours, special programs, and summer reading clubs. Available at the Main Library are books, magazines, and audio-visual materials in Spanish and Portuguese as well as books in other languages.�The Main Library also has museum passes, private study rooms, and electric typewriters, and several (text mode) terminals which can be used for internet access.�The Literacy Unlimited program welcomes volunteer tutors and offers adult basic education and English as second language. Locate books and other resources online! - the library's catalog is available on-line via the Minuteman Library Network, (MLN).�The MLN web site includes catalogs of resources available from member libraries, including periodical and reference databases as well as useful internet resources, links to other library catalogs and a special Kids Corner with links to select educational sites on the web. Those with a library card and pin number can check when items are due and renew library materials online. (Request a PIN number if you would like to use online services which require one).